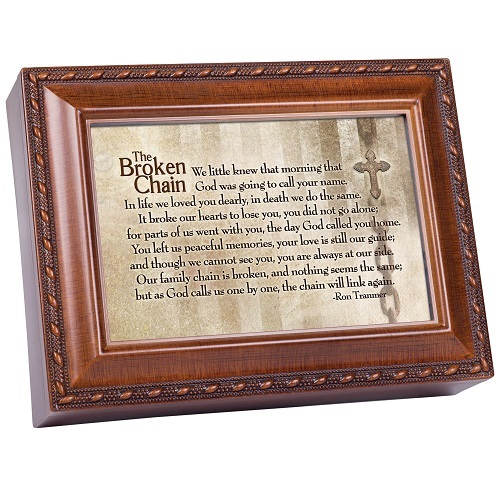 The Broken Chain musical keepsake box serves as a tender and comforting reminder of an eventual reunion with our loved ones. 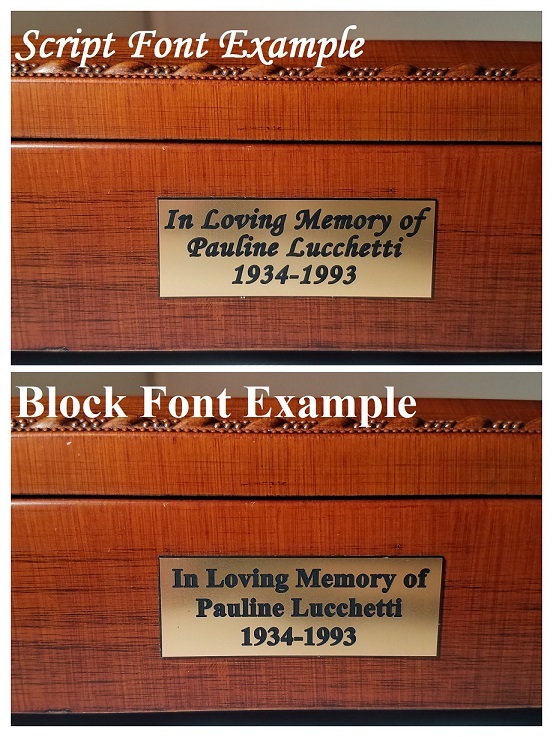 The optional engraving of a nameplate is a lovely addition to this memorial gift. You may choose up to 3 lines of personalization (Maximum of 19 characters/line). Please review all spelling, names, and dates for engraving. 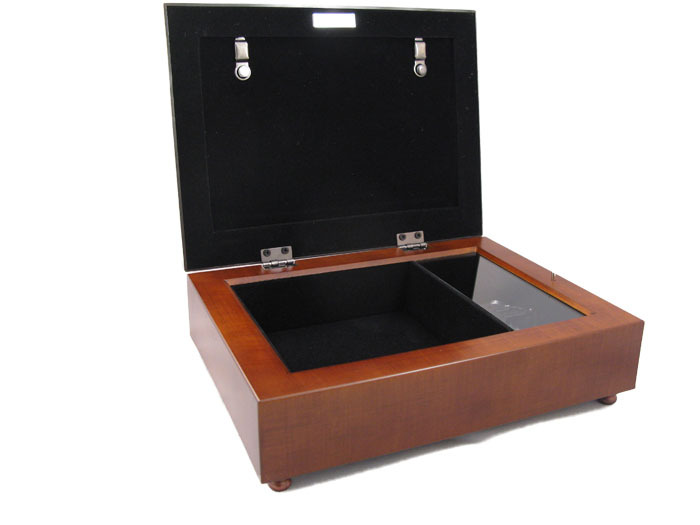 All text will be centered and engraved exactly as input. Personalized orders are not refundable. Memorial music box measures 8" x 6" x 2.5"